Mark Reeve send me a cassette with a lecture by Terence McKenna a few years ago. Mark has send me many cassettes that I treasure, and many contain spoken word. I have not written much about spoken word audio in this blog. The reason is that it is about ideas, especially esoteric ideas, and I have serious doubts about what can be said about this without distorting the original message. I have tried to write about esoteric ideas in the past, but the results were far from what I had in mind. When it comes to ideas, Terence McKenna has been one of my heroes ever since I heard that first tapeof him. His lectures can be found on the Internet; thanks to John Koenmans I have about 50 of his lectures as mp3’s. And I have listened to these lectures many times. McKenna is an avalanche of ideas: he packs so many original ideas and insights in every sentence, that I have often played a lecture for days, and every time I realised that yesterday I had not really heard what he said. I know nobody who can talk the way Terence McKenna did. And he could write too. Unfortunately he only wrote a handful of books. 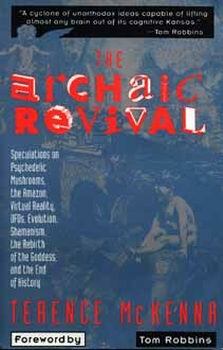 But if you ever get a change to read True hallucinations (my favourite) or Archaic revival , grab it! After he died, a few years ago, his library was stored at the Essalen Institute. In my dreams I was chosen to take care of this legacy and to distil some more books from his notes and left over writings. McKenna is very influential in the so called psychedelic scene, but outside that scene his ideas are hardly known, if at all. I talked to several publishers about translating True hallucinations for a Dutch publication, but there was absolutely no interest in such a book at all. I have only once written an article about McKenna for a magazine, the rest of my proposals was declined in ways that made me stop trying to convince editors that McKenna’s ideas are worth publication. Two years ago the building in Essalen, where all the McKenna files were kept, burned down to the ground, so I am afraid I have to think of something else to do with the rest of my life. 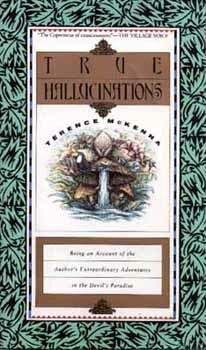 The Psychedelic Salon has published some of McKenna’s lectures as podcasts. Two weeks ago it was a lecture that in my opinion is one of his most accessible speeches that I have heard, and therefore a great talk to begin with if you are new to Terence McKenna. Usually he talks about far more far off ideas, with more references to things that he talked about earlier. His main topic is the use of psychedelic plants and other mind altering substances, but in this talk this subject is hardly mentioned. Here is an excerpt from this lecture, but please download the complete podcast (#128)at The Psychedelic Salon! More info about Terence McKenna and links can be found here.